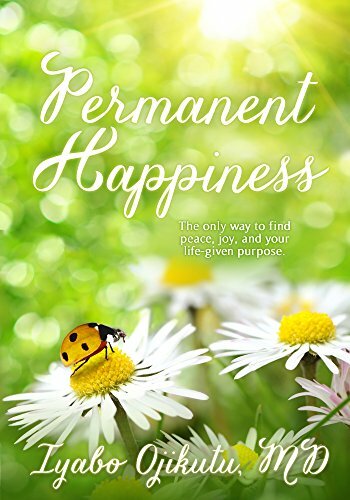 “Permanent Happiness” by Iyabo Ojikutu, MD, is a beautifully written guide to help you live a peaceful life. Tying together the link between our physical and spiritual lives, Dr. Ojikutu offers three steps to help us become more peaceful and happy beings. In this work, she shares a great deal of her own personal experiences, of which many readers will be able to relate. This includes discussing the end of her marriage, single parenting, having a stressful career, and re-entering the dating world. Peace and faith resonate through her words. While finding a great deal of useful information that will aid me on my path to happiness, I also discovered that just by immersing myself into these pages, I felt peaceful and relaxed. I appreciate that this book is not written in a textbook style. The author blends her lessons in with her personal experiences. Readers will want to do some journaling about their thoughts as they read. Women going through divorce will really appreciate her thoughts on healing during this time. She also offers sound advice on parenting and dating for teens. While it would seem that what she discusses is pure common sense, for some reason people need to hear what she is saying and actually process it. In addition to her own personal experiences, Dr. Ojikutu also has a wealth of experience in dealing with a variety of stressful issues that can result in stress and lack of peace. Her common sense approach to dealing with these issues will help readers either avoid these experiences or learn how to escape from them peacefully so that they can move on to being happier, healthier individuals. I would love to see “Permanent Happiness” by Iyabo Ojikutu, MD, as a selection for a reader’s group, whether secular or faith based. In addition to benefiting from reading it, readers will also gain a great deal of insight with shared discussions. I think it would also be a great gift for young ladies who are in their teens or young adult years. It would be awesome for these young ladies to start following the steps to permanent happiness so that they can learn to seek permanent happiness while they are young, and unburdened with emotional baggage. I look forward to entering into this New Year with the resolution of following the steps to seek permanent happiness!